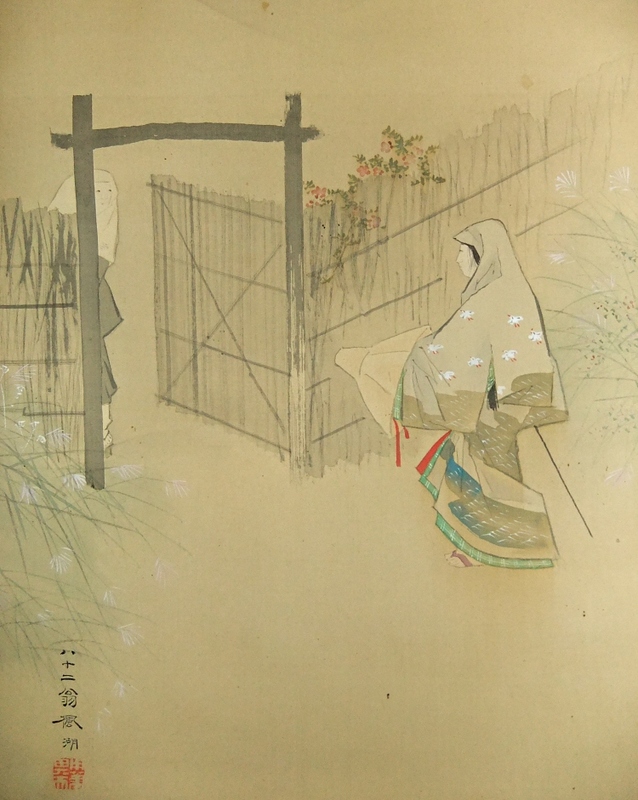 Japanese painter flourished through the Meiji and Taisho eras. Fuko was born in Hitachi Province (present Ibaraki Prefecture) in the 11th year of the Tenpo era in the Tokugawa Shogunate period. His real given name was Toshiro. 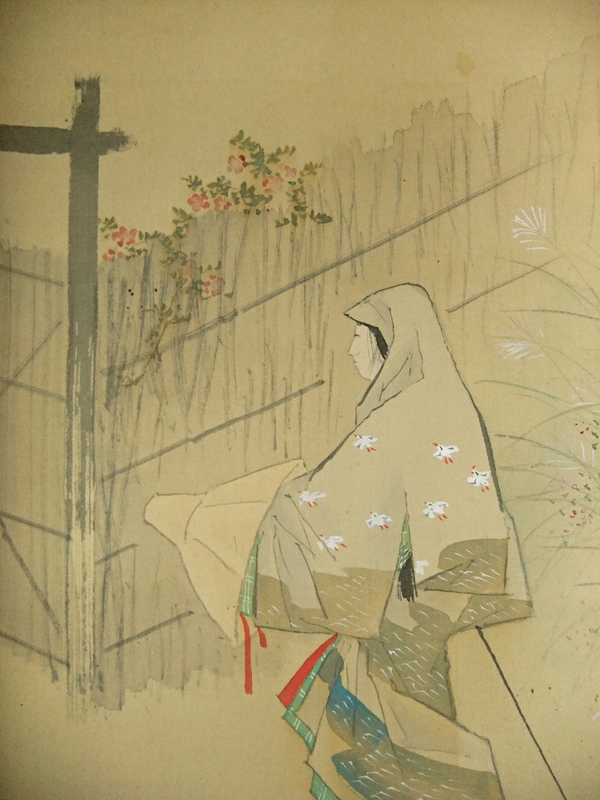 In 1853, he went to Edo and studied painting, first, under Oki Ichiga, later, under Satake Eikai. In 1868, the year the Meiji Restoration occurred, Fuko became a disciple of Kikuchi Yosai and started studying historical painting. Fuko mainly painted figures from historical scenes, though, he also depicted designs of Japanese potteries and illustration of magazines & newspapers. 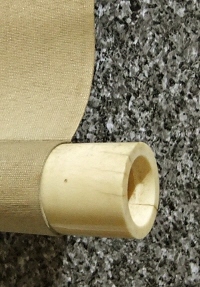 Fuko participated in establishing the Nihon Bijutsu-In (Japan Art Academy). 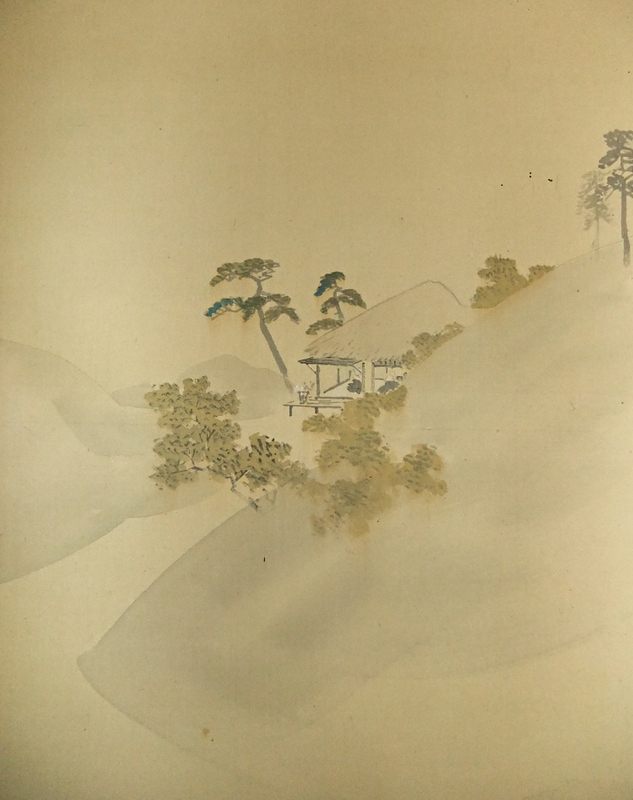 He also established a private school (Anga-do Gajuku) and cultivated Imamura Shiko, Hayami Gyoshu and other important painters. In 1919, Fuko became a member of the Teikoku Bijutsu-In. He deceased in the 12th year of the Taisho era at the age of 84. Description This scroll must have been painted around 1921. There are some small spots in whole. The scene is from the Shigisan-engi (Legend of Mount Shigi, Japanese folk tales in handscrolls, made in the end of the Heian period 794 - 1192). Amagimi (elder sister) who was living in Shinano Province, desired to meet again with her younger brother Myoren who went to Nara over 20 years ago to become a Buddhist priest. She asked for her brother around Nara, but, she never heard of him. She prayed to God in front of the Todai-Ji Temple. On the night, in her dream, she heard an indication to go to the hazy mountain toward southwest. After she woke up, she went to the mountain (Mount Shigi) and found a hut. Finally, she could meet her younger brother. The scene is painted tastefully.